Cragganmore. I had seen the bottle on the shelf at various whisky shops, and vaguely knew that it was part of Diageo’s main Classic Malts series, representing Speyside. I had never tried it or even heard it talked about. Why would Diageo pick, out of the hundreds of prolific and historic sites in the heart of mainland whiskymaking – Speyside – Cragganmore to represent the region? Luckily I got a chance to try the three main distillery bottlings of Cragganmore at a K&L Whisky Tasting recently. Whisky Tastings are such an important way to try new whiskies and expand one’s horizons. I wish they were more prevalent in the U.S.
Cragganmore is also the principal malt used in Diageo’s wildly popular blend Johnnie Walker Black Label, providing the gentle malt base. 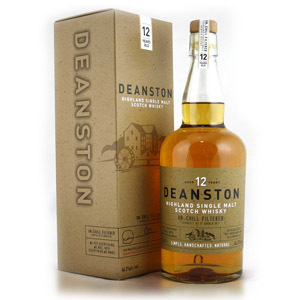 The distillery-released 12 year-old comes exclusively from 2nd-fill bourbon casks, to reduce the woodiness imparted by long aging in first-fill barrels. 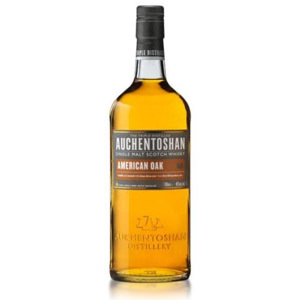 At $44 a bottle, this isn’t a bad deal and is worth considering against similar ex-bourbon-cask malts like Glenfiddich 15-year, Glenmorangie 10-year, and Oban 14-year. Nose: Pale hay – indeed it smells like Johnnie Walker Black Label! (Imagine that). Very light… a bit of ground peanuts? Palate: Hazelnut and milk chocolate. Peanut butter, lavender, floral honey. Finish: Sweet processed honey. Nice oak tannins, small bitter note. Trails off with hazelnut skins. Overall: Mild and inoffensive. No smoke, no fruit, just a soft cereal character and light accents of florals and nuts. Somewhat meaty, although the flavor profile is mostly balanced around the nuts. Certainly worth the money, and a contender for the “midrange Speyside” spot in your cabinet – especially if you like nuttier flavors instead of Speyside’s more-common honey, apple, and heather style. I do wish Diageo would bottle this at 43% and without chill-filtration. The added body would really complement the nuttiness. Cragganmore was built in 1869 to produce spirit for shipping on the newly-linked Strathspey railway line. The distillery water is hard and comes from Craggan Burn. The distillery, named for the hill of Craggan More in Speyside, is owned by Diageo. Despite being part of the company’s Classic Malts series and a component in Old Parr blends, Cragganmore lacks the popularity of many of its Speyside neighbors. Wooden washbacks, worm tubs, and an unorthodox combination of still shape, size, and lyne arm angle make for a very complex, meaty whisky. We can’t buy this in Ontario, but I’ve had some at a local higher end bar. No smoke? Hmm, I’d say try it again. It’s definitely smokey (although I’m finding that people who love the smokiest scotches often say the rest have little to no flavour). You are 100% correct. The more I drink extremely smoke-heavy whiskies like Ardbeg, Laphroaig, and Lagavulin, the less I can detect subtle peat in Highland malts. Something I learned recently is that every single malt has at least trace amounts of peat – usually from the process water. The good news for people reading my reviews is that if I can’t detect any smoke, then that malt is not likely to offend the palates of newer whisky drinkers. If I told you that a Caol Ila or a Bowmore had no peat, that’d be a different story, and would put many people off scotch entirely! The next opportunity I get to sample a Cragganmore (I have 2 more reviews coming, but they’ve already been tasted), I will ‘look’ for the peat. Thanks! Lots of Googling, and a dozen or so books on scotch whisky. What books would you recommend that give you the most tangible information on scotch? Thanks! None of them are exhaustive, and many are probably already out-of-date since new releases and line changes happen so often these days, but my favorite book is Dave Broom’s World Atlas of Whisky. I also really like “Whisky on the Rocks” by Stephen and Julie Cribb – it has the most water/geology information on distilleries that I’ve found, even though it’s a small book. As always, sorry to hear about LCBO prices. I tasted Scapa 16 at WhiskyFest 2011, but I was about 20 tastes deep and my notes are a bit scrambled. 😉 I do remember enjoying it, and marking it as a potential future purchase. I’m overbudget this month on scotch purchases, but it may find itself in my next round of bottles, and I’ll do a review then. For now, all I can say is that it was an enjoyable sip, and worth further exploration. Dan, I just checked and you’re right. Strange. I’ve used the LCBO search function for it numerous times and I’ve NEVER gotten the 750ml bottle as a search result! Green Label is incredible and like Cragganmore with a little more zip. Highly recommended! I had Cragganmore for the second time last March; the first was nowhere near as notable. I was very impressed and enjoyed the flavor, especially the chocolate notes. Now that I see it’s a component malt in JW Black, I get it. I was introduced to scotch through a component tasting for JW Black. I also like Lagavulin, which I also know to be a component. Glad to see this review. Does Cragganmore just not get as much publicity as the Glenlivet & other brands, or is it considered to be not as good? It’s a good scotch to me, although you’re right that water/ice washes it out too much. I also wish it had a little more heft. @Nikolas, Cragganmore actually is one of the “Classic Malts” series from industry bigwig Diageo, meaning it “represents” the Speyside region for the company. (Lagavulin is their “Classic Malt” for Islay). I would say it’s considered by most to be better than the big commercial brands like Glenlivet (12) and Glenfiddich (12). Those two, in particular, get a lot more publicity because their marketing budgets and distribution networks are HUGE. That certainly does not mean they are better malts, just more widely available. I can see by the posts, I’m behind the eight ball date wise, but hopefully someone is still monitoring this. I’m new to drinking scotch and am doing some research. Some advise starting here, with Cragganmore, while other sites advise doing a blended scotch first and then the single malt. Any suggestions? Hi Robert! Welcome to the site. I personally see blends and malts as two different categories. I myself began drinking single malts partly because I didn’t like the “low quality” taste of blends. There are definitely good blends out there, but most of the ones available in liquor stores are suitable only for mixing. Stuff like Ballantine’s 17 (a blend) wins tons of awards, but it’s also more than $100 a bottle. I generally recommend starting with Balvenie 12 year DoubleWood. 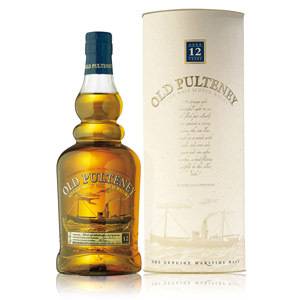 It’s the most all-around single malt at a reasonable price ($40). 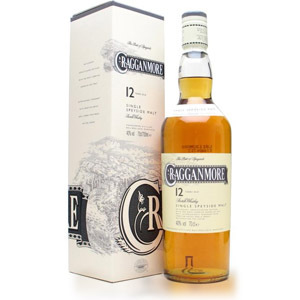 Cragganmore 12 is actually very similar in flavor profile, and would also be an excellent starting point. If you like a little fruity sweetness, Dalmore 12 might be a good way to try heavily-sherried malts (since Macallan is way overpriced). If you want to dip lightly in peated malts without going all the way to something heavily smoky, try Highland Park 12. If you want to see what peat is all about, try a Laphroaig 10 (although be warned that peat is an acquired taste and many people dislike it). If you want to try a decent blend, Chivas 12 is ok. I much prefer Great King Street, although it’s pricier and harder to find. Cheers! I’m sipping my first dram from this bottle as I type, and it is a lovely dram indeed. I get the hay in the nose with a heathery floral note. A bit on the thin side, but in a way that accentuates the delicacy of the flavors which are complex, subtle and well balanced. Not getting overwhelmed with sherry is a good thing here. Very smooth for its age. Light smoke comes through at the finish with a slight tangy, tart note. For the money and age, this is delightful! The Craggenmore 12 is as every bit as good as any 12 scotch 2 or 3 times it’s price, or for that matter any price. Let’s clear something up right here right now, the is no correlation between price and quality when it come to scotch, and the proof is quite simple. The actual cost of producing the liquid in the bottle is a fraction of what you pay at the store. Probably 10 percent or less. On of 50 dollar bottle, that’s 5 bucks, even if you were to double the price of making it to allow for better ingrediants or care in makeing that still only adds 5 bucks to the price – making it 55 dollars. But to add to the equation, there really isn’t much room for adding any great expense in making scotch – barely, water, barrels, age it…..they all do it bascially the same with the same costs. maybe a sherry barrel instead of a burbon, a little difference in labor cost, but it’s all pretty much the same. That’s not to say all scotch comes out tasting the same – it obviously doesn’t, but we can contribute that to water, processing, years, age, etc. So than, why the big difference in price, simple marketing and to a lesser degree demand. Either of which topics are outside the scope of this conversation. But there you have it. You might think you’re getting a whole lot more when you spend twice as much, but your not, granted it might taste different than a cheaper bottle, but don’t confuse “different” with “better” If you prefer the taste of one over the other than you’re going to pay for it, you’re not getting better scotch just one that tastes differnt. So this whole business of “entry level”, “midrange” is quite frankly silly. lessismore, The terms I use here “entry level” and “midrange” refer exactly to the shelf price of the bottles. Regardless of how much marketing, demand, and other factors have set arbitrary prices, the retail shopper is still required to choose between bottles that are retail priced. That makes “entry-level” and “midrange” labels quite frankly not silly at all, since they refer to the price you will pay for the bottle. Does that mean an “entry level” scotch must be inferior to a “midrange” one? Of course not. I’ve had a 35 year-old Macallan from an independent bottler that cost $30 a glass and was far inferior to most $50 bottles on the shelf. 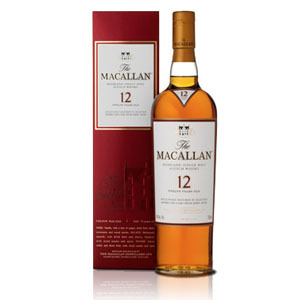 Does that mean the Macallan was anything other than “high end” in price? No. Pretend for a minute that you are a producer, you make X number of bottles per year and release them at price Y, all of the bottles easily sell, so what do you do next year ? You increase the price, if indeed all of those bottle sell the next year, you raise the price again, and so on until you find the point of losing demand – and that’s the price of your bottle. Of course mixed into this equation is that you could increase production, if and if you can or want to do so. I need to reply to this. I work in a liquor store. Markup is only actually about 65-70%. Not the 200-300% your stating. Hence, a $22 bottle, costs the retailer around $15. Yes those terms refer to price points. But the connotation is that ‘entry level’ is buttom shelf, the cheap stuff, and it most certainly implies that you are an amateur consumer who doesn’t know anything and as such you get and deserve the ‘entry level’ and/or you’re just cheap..lol, And the marketing departments gets to run the guilt trip on you to get you to dump more and more money on so called medium and high level products that are in fact in almost all case no better than the entry level stuff. What a great marketing stratagy, you gotta hand it to them. The first time I heard the term used in a wine store, the salesman was using it on a customer, I almost busted out laughing right in front of them. The customer must have felt like a jerk, afterall his mere pallet only qualified for the ‘entry level’ wine, he probably walked away thinking that his holiday dinner at home which he was buying the wine for was – well just an entry level dinner too, poor guy. seriously this whole business of marketing scotch, wine, etc, has been elevated to absurdity, and I think the real mission of reviewers such as yourself should be exposing it to the public for what it is not perpetuating it. All that being said – I think the next bottle I pickup will be a Cragganmore 12, I’ve had it several times before and it’s a great straight ahead speyside. Nose Very expressive. Notably herbal. Grassy. Palate Having flirted, plays hard-to-get. Interplay of teasing sweetness and stony dryness. Promises of orange blossom. Honey. Anise. Finish Slow seduction in the flower beds. Boy that tells you a lot. How can you not laugh at this stuff. There’s a reason… I believe a good one… that Crag-12 is bottled at 40% ABV. 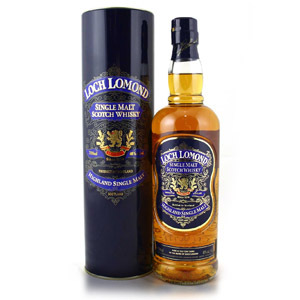 It’s an aperitif style whisky with the goal of being complex and mild with no alcohol burn. What Diageo should do is offer a 12 year at 48% ABV and non-chillfiltered.